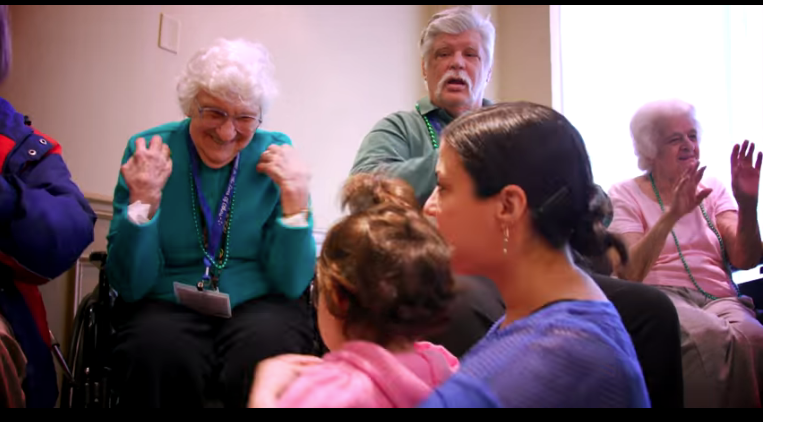 We will sing dance chant and play instruments with the Gran-Friends! Taking the time to connect with a our larger community while sharing The Joy of Family Music®! Lifting the spirits of both young and old. "I love seeing the light in everyone's eyes when we have playful shared experience." "I ask the older children to bring instruments to the Gran-Friends and we do community songs where we can connect as we play." "The Gran-Friends love to be in the prescence of pure happiness!"